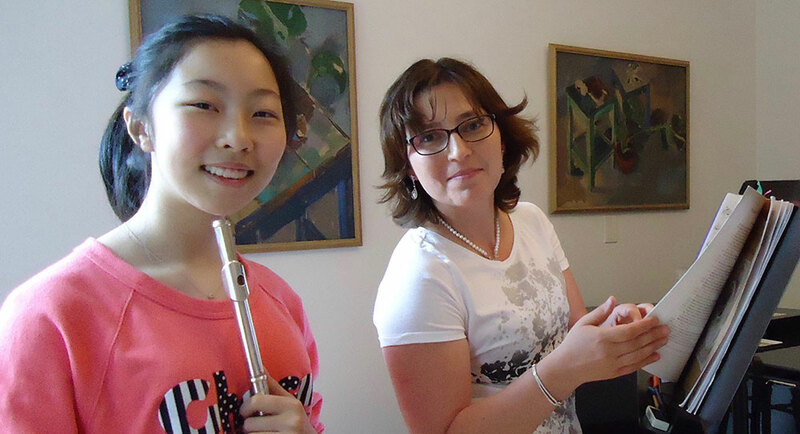 Silver flute Studio was launched in 2007 and now offers flute lessons in Richmond and Surrey. Vancouver flute teacher Natasha Foresi holds a Master Degree in Flute Performance from Geneva Music Conservatory and is excited to meet and work with enthusiastic, aspiring flautists, regardless of their age and level. With over 20 years of teaching experience, she has worked with beginner and advanced students in Canada and Europe. Natasha really knows how to fire music passion in a child. 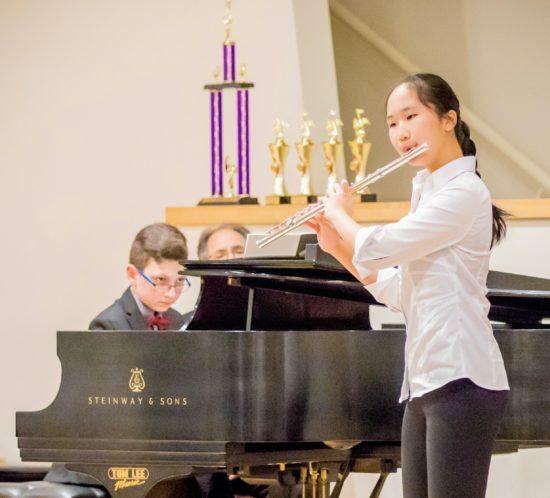 If you step into her class, you will find out that not only has she very high standards in all aspects of flute playing, but she also focuses on training young players to have stage presence. This is so important, it boosts their confidence and results in a long-lasting interest in music. Natasha also encouraged my daughter to audition for RDYO and attend different flute competitions in Vancouver area. All these activities helped my daughter to stay motivated and enjoy her daily practice. My daughter has now reached the most advanced division in both RDYO and her school Orchestra. Flute became an important part of her daily life. As a parent, I’m very grateful to Natasha, she is the best flute teacher we've ever met! Natasha's class is always so engaging and I learn so much from her. As I started working with Natasha I was able to grow much more musically. I always look forward to lessons with her. 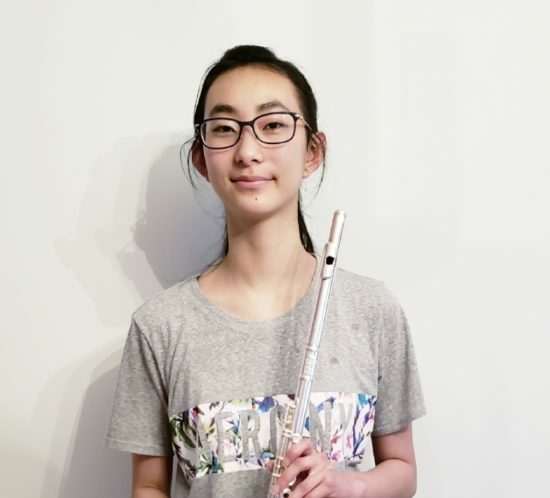 Born to a musical family, Natasha began to play the flute at the age of ten and studied with many renowned musicians including Moshe Epstein (in Israel), Kathleen Rudolph (in Vancouver) Maurice Pruvot and Florence Souchard (in Paris) Emmanuel Pahud, José-Daniel Castellon & Jacques Zoon (in Geneva). She was a lucky recipient of numerous awards and scholarships that allowed her to study in Europe: Karen Sharet scholarship, McPherson music society scholarship, British Columbia Fund scholarship just to name a few. After receiving “Premier Prix a l’unanimite de la ville de Paris” she continued her studies in Geneva. Graduating from the Geneva Conservatory in 2004 with Diplome de Soloiste (M.Mus), Diplome de musicien d’orchestre (M.Mus) and a teaching diploma (B.Mus). She was a freelance flautist and teacher in the Geneva area performing with Orchestre de la Suisse Romande, Nouvelle orchestre de Geneve and several chamber groups. Natasha Foresi is now an active freelance performer, dedicated teacher and adjudicator in Vancouver area. 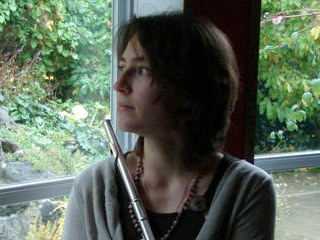 She operates two flute studios, in Richmond & Surrey. Passionate about musical education, since 2011 Natasha is also the Executive Director of the Richmond Music Festival. Based on over 20 years of experience, my teaching method is a unique combination of the famous French flute tradition and innovative ideas. I encourage students to develop their musical abilities to the peak of their potential. Sound and technique are always at the service of musical expression, therefore all work on tone and finger technique is always connected to a musical goal. A great emphasis is placed at the beginner stage of learning the flute on developing good posture, correct breathing, air support and flexible embouchure. The right start makes a huge difference. Lessons are usually one hour long on a weekly basis. Very young students and complete beginners may start with forty-five-minute lessons. Performing on stage is an integral part of every musician, to that end I encourage my students to participate in local festivals and various concerts throughout the year. My studio holds class recitals once or twice a year. Many of my students also participate in festivals such as Richmond Music Festival (held in November) and Kiwanis Music Festival (held in April). 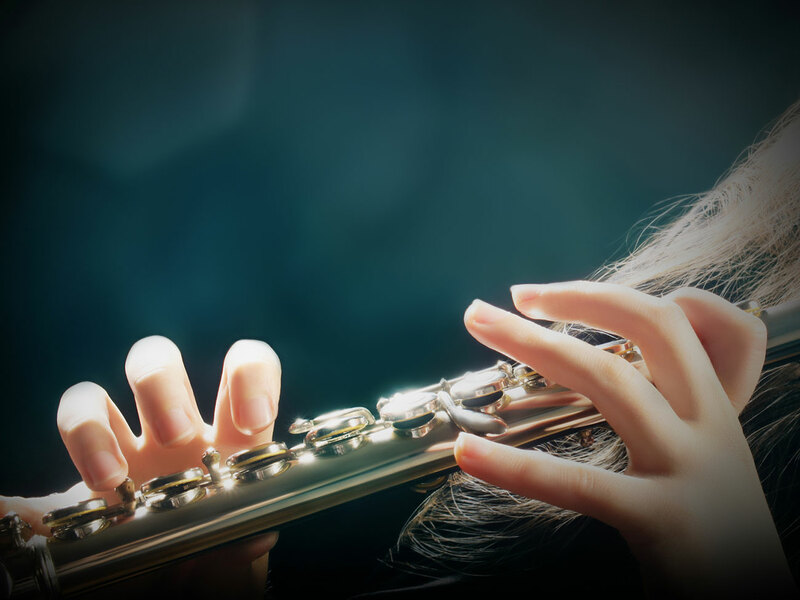 Choosing the first flute can be a difficult task for a parent, this is why I decided to compile a brief guide to buying a flute. Beginner flautists have two options: renting a flute or buying one. In both cases, I recommend to consult with the teacher before getting a flute. Depending on child’s height I personally recommend buying or renting a student model Yamaha flute or a Jupiter wave line series flute. Yamaha flutes offer a consistently good sound for a student model as well as a good mechanical stability. I rarely need to send students owning Yamaha flutes to the repair shop. This flute is a standard size flute and is usually suitable for players aged 10 years or older. Jupiter wave line series were built with younger players in mind and made their appearance in Vancouver in 2014. What an improvement from previous curved head models! These flutes offer the young players the ability to hold the flute in a same fashion as the full-sized flute without stretching the arms too far, thus keeping a good natural posture. The weight of the flute is distributed evenly, making it easier to hold it in place than the curved head flutes. The keys are closer together for the smaller hands and the lowest note of the flute is a D instead of C or B, resulting in a shorter and lighter instrument for the young players. These flutes are suitable for ages 5 and up depending on the child’s height. This is a standard size flute for flute players aged 10 & up. Best choice for young beginner flautists. 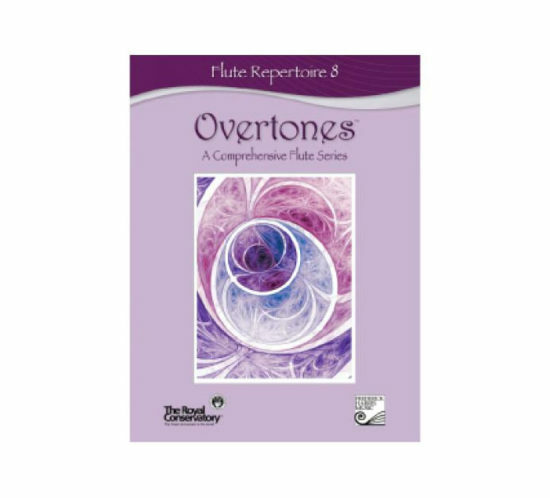 This is an older version of flutes for younger players.